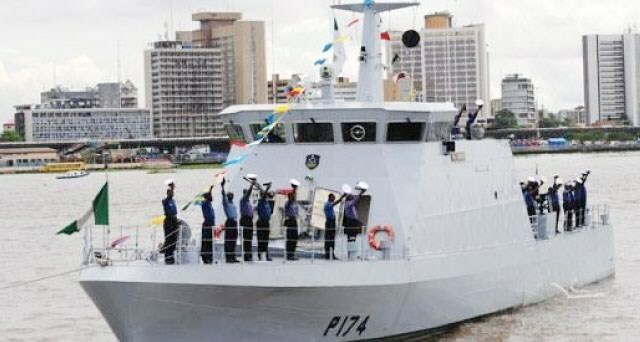 The Nigerian Navy on said on Monday that it currently had in its custody 52 vessels and 40 persons arrested for various alleged piracy- related offences. 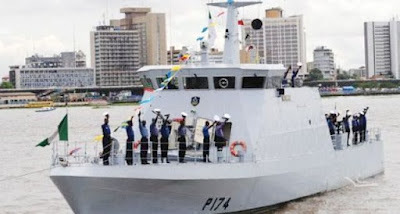 The Flag Officer Commanding, FOC, Western Naval Command, Rear Adm. Habila Ngalabak, disclosed this while speaking with journalists during a one-day seminar for its officers at the Nigeria Navy Ship, NNS, Quorra, in Apapa, Lagos. According to the FOC, the seminar is to educate the officers to have a better understanding on procedures of arresting, detaining and prosecution of vessels. “The seminar is to refresh our minds on the issues of arrest, detention and prosecution of vessels at sea. “The seminar could not have come at a better time than this because we are approaching December, so we have to get ourselves alert on our duties. “We have 52 vessels of different classes and types presently in our custody for different offences and quite a lot of them are under litigation and investigation. “Some are being investigated for us to know the type of offences and also the agency that they would be sent to for prosecution,’’ he said. On the exact time of the arrest of the suspects, the FOC said he could not categorically give specifics because over the years, “the number of arrests keep rising. “It’s a situation that keeps changing. There are some that have been arrested and their cases have been disposed of from the list and others are still joining. “It takes time for the prosecution to be concluded so some of them have been there for three to four years. “In the last two to three months, we have really had a major arrest of maritime offenders which are piracy related offences and within this period, we have arrested no fewer than 40 persons for one offence or the other,’’ he said. Present at the seminar was the Commander, NNS BEECROFT, Commodore Okon Eyo and other commanding officers of various naval ships. The Nigerian Navy is in charge of policing the nation’s territorial waters.